a real cow looks like. One evening we were lucky enough to meet Mrs. Winchester, who came by to check on them. There was a nostalgic gaze on her face as she told me of the days when thousands of cows grazed across Boynton’s prairies. She laughed as she told me her first name – Elsie! A perfect name for a dairyman’s wife. These last cows hold the secret of all those that came before them. Boynton’s flat drained sandy and muck soils were ideal for cattle grazing, and in the 1920s, the Model Land Company encouraged people to enter the dairying business. The first large-scale dairy had some very lucky cows, who enjoyed an ocean view. In 1920, Ward Miller decided that the lands that today make up Briny Breezes would make a fine dairy. Being near the ocean, diseases brought by ticks would be less of a problem. In 1923, he built the Shore Acres Dairy, along with owning the Miller-Jordan Dairy on Federal Highway, while W.S. Shepard had the Royal Palm Dairy. Another large dairy in the early days of Boynton dairying was Bertana Farms, owned by A.E Parker and on the Dixie Highway. 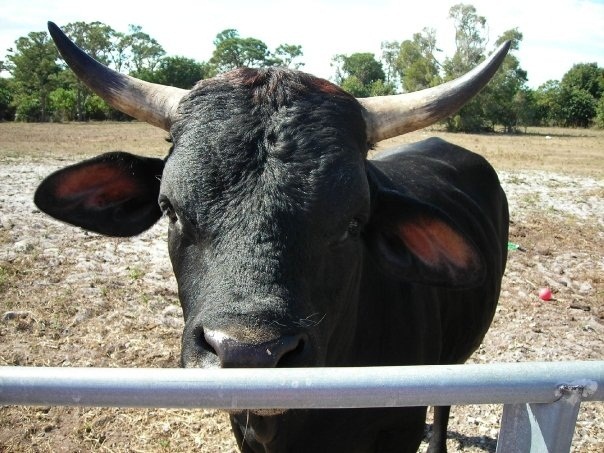 He was also part owner of the Alfar Creamery in West Palm Beach, and a former city manager of West Palm Beach; much of the milk from Boynton was processed through the Alfar Creamery. Harry Benson and E.L. Winchester also had their dairys on the eastern side of Boynton. As land along the ocean and the Dixie highway became more valuable, dairies began to pop up along the Military Trail, Lawrence Road and what would eventually become Congress Avenue (Congress was not put through Boynton until 1965). One of earliest and most famous dairy families of Boynton were the Weavers. Their dairy was located along the Military Trail, where the Cypress Creek Golf Club is today. M.A. Weaver served as mayor of Boynton for many years, and their house still stands in Lake Boynton Estates. His sons had land north and south of Boynton Beach Boulevard on Military Trail, all of which was eventually sold for developments and shopping. Stanley Weaver was also very much involved in Boynton, serving as mayor in the 1950s and serving longer than anyone else ever has on the Lake Worth Drainage District Board. The Boynton Canal is now named in his honor. I enjoyed reading your article. I’ve lived in Boynton since 1959, now reside in Siuthern California, and seen the town change in so many ways. I wish the City officials of Boynton would make more of an effort to preserve its history and landmarks. At least we have your organization that preserves some of its memories. We are working on a donation button. Thank you for the reminder. The Historical Society recently had the 1976 “History of Boynton” film restored and digitized, with a new introduction by Harvey Oyer, III, and a special ‘Behind the Scenes” with Tom Warnke, son of Jim Warnke. When we get the Paypal button up and working, we will send a free DVD of the “History of Boynton” to those making donations of $25 or more. Thank you for writing to the Boynton Beach Historical Society. We now have a Donation button on our website! I remember many times when our family rode in a VW (with no air conditioning) up Congress Avenue from Boynton Beach to visit my grandparents in Lantana. The smell of the cows was VERY apparent, but it sure was peaceful. Now it’s such a bustling, busy area. Hard to believe how much that area has grown.